When’s the last time you looked at your paycheck stub? I mean really looked it? If you’re like most people, the final number is really the only thing that matters; after all, there’s not much you can do about all the stuff that gets subtracted from the top of the stub to the bottom, right? This is one of the largest distinctions (and hardest lessons) people learn when they first start freelancing. When you’re on a payroll, you don’t really have to think about the amount of taxes that are getting pulled out of your check, and you don’t have to set money aside for things like health insurance because the number that finds its way into your bank account is already net of all of those things. On the freelance side of life, you still have to account for all the things that make paychecks shrink in size; the difference is that you’re responsible for getting everything paid yourself. In other words, when it comes to Gig Economics 101, your paycheck is seldom the size that meets the eye. Of course, there’s also the simple fact that when you’re on a payroll, you’re going to get a paycheck. Simple things like guaranteed income fall by the wayside when you’re a freelancer. So, with all this in mind, let’s take a look at two of the most common reasons people get into freelancing and the good, bad, and misunderstood elements of each. Leaving the rigidity of a set schedule in favor of work-when-you-want-to hours is enticing to anyone. Not everybody has the discipline to get it done the way it needs to be handled, however. When you’re on a salary or hourly payroll, you can budget your bills and spending cash based on the amount of money you know you’ll have coming in. As a freelance writer, that works a bit backwards. You have to know how much you need to make to cover your basic bills plus be able to do things like, you know, eat. The Good: You have the freedom to work whenever you want to and as much or as little as you’d like. The Bad: If you underestimate the amount of work you’ll have coming in for that pay period, you’re stuck. Your creditors aren’t going to give you sympathy just because you’re a freelance content marketer. The Misunderstood: Freelance writing has a tendency to be feast or famine. Clients come and go all the time, so you have to have a constant hustle to keep a steady cash flow coming in. Everybody has to pay taxes; that’s just a given. How your taxes get paid as a freelancer versus a payrolled employee, though, are two different worlds. When you’re a freelance content writer, you’re running your own business. Yay, right? Well, as a self-employed entrepreneur, paying good old Uncle Sam gets a lot more complicated than it is when your money simply escapes from the net number of your paycheck before you have the chance to get acquainted with it. The Good: Your payments are yours to do with as you please. 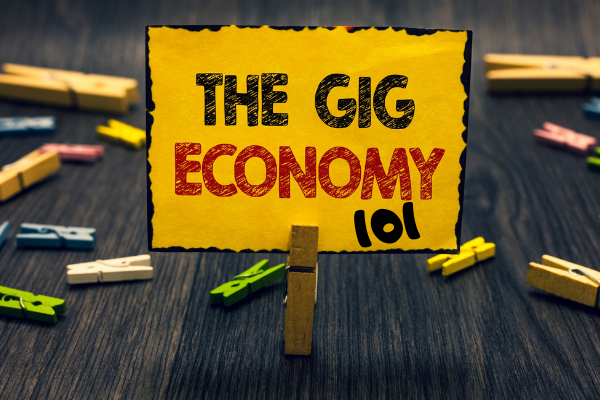 If you’ve got an unexpected expense, you can hop online and churn out some more work to make up for the cost without trying to figure out how much your net pay will actually be. The Bad: You still have to pay your taxes, which means the responsibility of allocating funds falls on you. The gig economy is a strange and wonderful place. It’s filled with tons of opportunities, but there are also plenty of ways to learn lessons the hard way. Don’t be afraid to ask questions! Remember, lots of people have successfully freelanced before you, and many will do so after you. If this is your time, just be ready to learn and go into it with an open mind! WriterAccess is a great place to start making your words work for you as a freelance content writer. Submit your application today! Kristin B is interested in anything that teaches her something new or gives her a different perspective on something she already knew. She’s a self-proclaimed Learn Nerd, which means the world is her educational oyster, and she’s always seeking opportunities to learn from life’s experiences and her clients’ assignments.